Military MFG Careers - Workshops for Warriors - SFA Inc.
“Employers will come to Workshops for Warriors in San Diego CA first for a tour of the facility, and second to participate in 20-minute ‘speed dating’ style interviews with students and Workshops for Warriors alumni,” Workshops for Warriors (WFW) proclaims in a press release about the event. 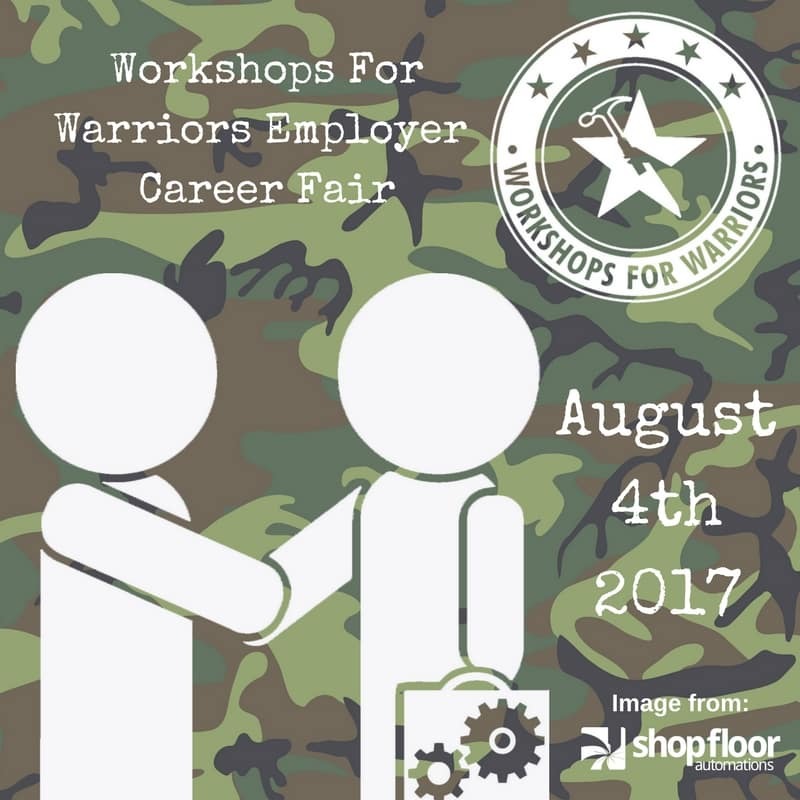 WFW is the only accredited school in the nation that provides training, certifications, and job placement for military veterans. This includes those wounded in action and transitioning service members. To read more about what WFW does, read about our visit to their school. If you run a manufacturing company and need solutions for better productivity, improved OEE, or better organization, call us at (877) 611-5825. You may also fill out a contact form.